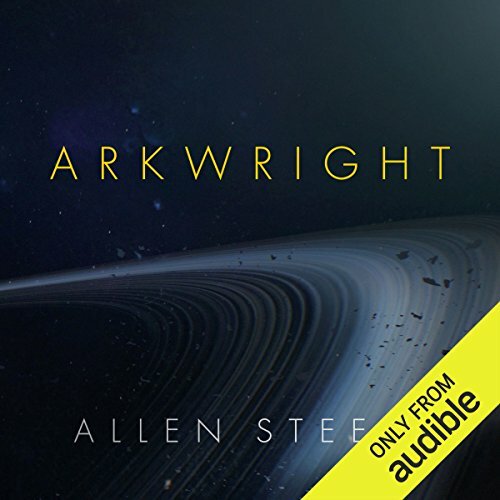 Written by a highly regarded expert on space travel and exploration, Allen Steele's Arkwright features the precision of hard science fiction with a compelling cast of characters. In the vein of classic authors such as Robert Heinlein, Isaac Asimov, and Arthur C. Clarke, Nathan Arkwright is a seminal author of the 20th century. At the end of his life he becomes reclusive and cantankerous, refusing to appear before or interact with his legion of fans. Little does anyone know, Nathan is putting into motion his true timeless legacy. Convinced that humanity cannot survive on Earth, his Arkwright Foundation dedicates itself to creating a colony on an earthlike planet several light-years distant. Fueled by Nathan's legacy, generations of Arkwrights are drawn together - and pulled apart - by the enormity of the task and weight of their name. 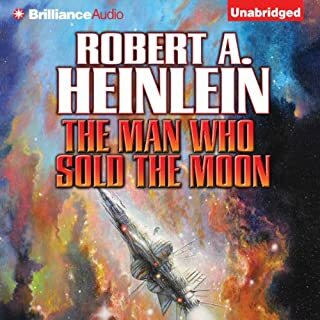 This is classic, epic science fiction and engaging character-driven storytelling that will appeal to devotees of the genre as well as fans of current major motion pictures such as Gravity and Interstellar. 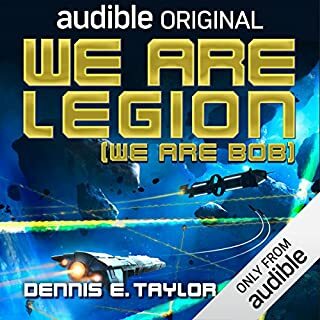 ©2016 Allen Steele (P)2016 Audible, Inc. The first part of the book is the only genuinely interesting bit: a fictional re-telling of science fiction writing and famous sci-fi authors during the golden age of the genre. But then the long middle part of the book is a tedious melodrama throwing in every daytime soap opera cliche about troubled families. 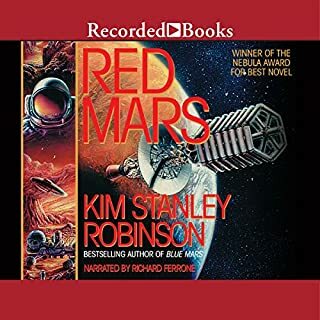 It gets briefly interesting again when the author behind to imagine humans on a distant planet, but soon it's back to family dramas before a really hokey sentimental ending. I didn't enjoy the narrator's reading of it either. Something about the pitch and tone of his voice grated me throughout, though I must admit that he mimicked the voices of the older characters really well. Very slow and inane story. Not at all what I was expecting from Steele after reading the coyote series. Nathan Arkwright is a massively successful SF writer and contemporary of Asimov, Clarke, and Heinlein. His wildly popular space operas have made him rich and he quietly invests his earnings into real science in the hopes of advancing space travel and even colonizing another planet. The narrative plays out over several generations of the Arkwright family, following Nathan's dream into reality. 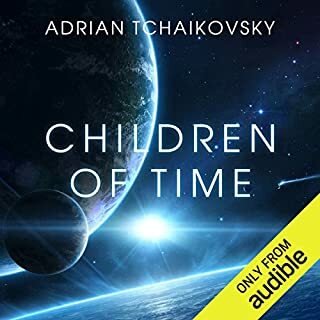 My book club chose this from a short list of SF fiction that I created by indexing multiple "best of 2016" lists and then removing works that weren't available in e-book/audiobook formats and any works that were #x of a series. Arkwright was an easy, but overall shallow and disappointing read. If this was among the best of 2016, then it was a sad year for SF. The characters are likable enough, but you never really get the chance to know any of them in any depth. This could be do to the generational narrative of the story; it switches viewpoint characters with each section. But honestly, I felt like the viewpoint character was always the least interesting person in the room. And don't get me started on the super weak guy-meets-girl romances in this novel. The plotting was like a videogame set on "easy mode." Challenges to the Arkwright agenda were sketchy and far too easily remedied. I never really felt the vision was at risk or altered itself to the changing personalities and pressures of each generation. The book takes cheap shots at religion. One of the threats to Arkwright's vision came from religious fantatics. (Obviously religion vs. science is a popular theme these days.) But I felt like it was an intelligence-insulting strawman argument rather than a serious plot complication. Religion in Arkwright was represented by Bible-belt fundamentalists, of course, all suitably thick-headed. They were never either rational or really dangerous. (Unlike the real/current US, in which religious fanatics, along with the NRA and big oil, are kind of a shadow gov't.) Later in the book a religion on the destination planet springs up and it's another of the thickheaded misinformed type. The new religion has the feeling of being very old and codified, but it sprung up in like one generation. So Steele's whole view of religion is slanted, reductive, and unrealistic. Steele also fails to present a "world" view. Apparently everyone native to the Caribbean drinks Red Stripe and deals pot. And pretty much everything is told from a US point of view. He even fails to do good hard science. Science doesn't really change much over the long timeline of the story. It's like all technology freezes after the ship launches and doesn't progress or even regress in the generations of waiting. Finally, the book was super meta in its attempt to create a conversation around science fiction and its relationship to real science. Steele referred to it as "a novel about science fiction that becomes a SF novel itself." This amounted to lots of pointless name-dropping and a serious failure to say anything about or evoke any interesting discussion around the relationship between SF writers and real science. I wanted a main character that wasn't a pulp fiction writer, but more of an Arthur C. Clarke type. A dreamer that influenced as well as championed science. Welcome to a snooze fest. This book takes entirely too long to get to the point. 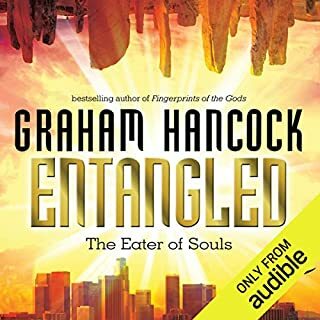 I kept listening and near the end of the book finally got some of why I purchased this book, but there are many other great books in this genre so spare yourself the time and money. meh. way too much needless character dev. good concept. good narration. but way too much needless character development. I almost quit multiple times. glad I finished it, mostly because of how much it cost, but it's unlikely I'll read this author's stuff again. Nathan Arkwright is an aging science fiction writer with a dream. One of the Big Four of the Golden Age of science fiction (along with Isaac Asimov, Robert Heinlein, and Arthur C. Clarke), Arkwright wrote the Galaxy Patrol series, which became a tv show and a movie franchise. In his waning years, he wants what he's always wanted: real, manned space exploration. He's also worried that an asteroid collision could cause another mass extinction, this time wiping out humans. During the first World Science Fiction Convention in 1939, Nathan and three friends formed a club they called The League of Tomorrow. In the early 2000s, it becomes the Arkwright Foundation, Estranged from his daughter and other remaining family, he leaves his wealth to the Foundation, along with an ambitious plan for human colonization of the stars. The story is told episodically--Nathan's granddaughter Kate, and her descendants, tell the story of the rising and falling fortunes of the Arkwright Foundation and its ambitious plans. There's family conflict as well as the building and launching of the ship, and the struggle to maintain contact with it on its journey. And the last part of the story takes place on Eos, an super-Earth lit by three red dwarf stars. All of this could be very dry. It's not. I connected with the characters and their stories in each section. They're human and relatable, and, heck, Nathan and his friends are fans! There are some very familiar names in Nathan's section of the book. There's also a great, big, huge, hand-wave in the Arkwright project, which is never really addressed, possibly because it can't be. That's all right. Steele is a fine storyteller, and I'm willing to grant him his hand-wave, but honestly, I had to give it some thought before I did. Some people may find it a bridge too far. I was truly gripped by this story. It's a tale that spans the lives of multiple generations, all of which hold you tight until the very end. Great listen and a fun ride. Drama, thrilling adventures or story twists are unwelcome in what might be the best mass-appeal book about star travel. Private space research and exploration headed by dreamers who want to act and be out there rather than in their own imaginations. Story touches on faith, personal and family values. Simply it has a bit of this and bit of that of a classic family saga with popular science in place of all the soap opera parts. Especially early on the story can be a drag and correlates with mostly dry writing and cold com-putative characters. Arkwright often looks for depth in places where it doesn’t need to. Don’t let that stop you from discovering the important message! Generational thinking is hardly present in sci-fi and I’m glad here it was put front and center. We need to uplift ourselves, stop thinking about today and focus on tomorrow! A great work of science fiction. Intriguing story, characters that feel real and plausible science. Instead of the usual view of humanity's story after they first start exploring other worlds, this one it about one family's legacy to ensure that humanity starts exploring other worlds at all. I liked the different take on it and how each generation embraces or rejects the family legacy/responsibility. This book took me away. A fantastic tale, that kept me listening for hours in a row. Helped by a spot-on performance. You will not regret getting a copy of Awkright. Every bit up to Steele's usual high standards. Reminiscent of an updated early Heinlein. Great! The story starts off in a fairly pleasant prologue then the real story begins to take shape as a generational family story and this is where it starts to fall down. Keeping this brief each generation is introduced during overly simplistic mediocre romantic storylines I really could have done without, the religious zealots of the story are zealots just because the author needed some conflict rather than them going by any sort of interpretation of the Bible. The heavy handed way weed is used throughout the story makes me think the author could have been smoking too much of it while writing and any complexity about actually colonising another planet were all side stepped in one paragraph. It could have been so much more, but in the end this is an unambitious novel on an interesting topic. 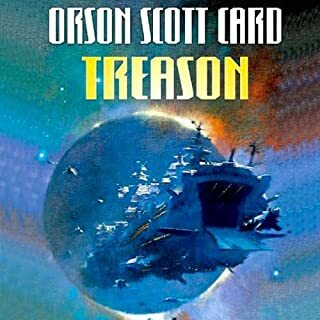 I found the wide-eyed golden era of sci-fi/alternate universe beginning quite weak and with poor dialogue; bit of a missed opportunity given all the classic author name drops. Central premise I think is overly optimistic and implausible though I wanted to like it and rooted for the protagonists. The book hit it's stride a little more in the latter half, with more plausible character interactions and more drive to the plot. thoroughly enjoyed the ending. the story is bouncing between cringeworthy scifi-history namedropping and boring. the narration is great though. Starting with the death of the Arkwright we then learn that this is how we start. One mans vision of a possible future , which ends some 500+ years later on a star far far away.